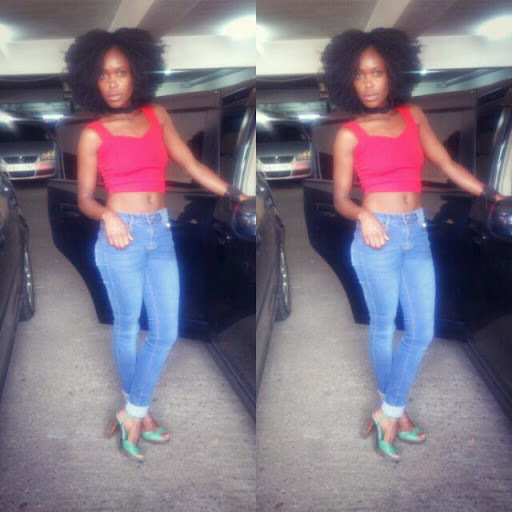 She spotted me waiting for her outside a Nairobi mall as she navigated her black sleek car through the parking barriers.As she shouted my name, I could see her unending smile literally bursting out through her car window. Her cheek bones under her smooth ebony skin together with her smoky eyes portrayed a truly warm and unique aura. We finally got to meet. I was especially delighted since it had not been easy squeezing into her schedule. I could tell from the speed of her hand gestures and intensity of her soft face that her pointers were burning to come out but she did a good job of letting me yap along. 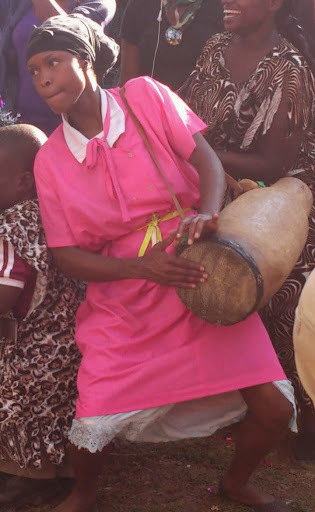 My main wonder was how a versatile actor and city-girl like her managed to slide so easily into the famous Awinja character (the feisty and gregarious house help of the peculiar couple Wilbroda and Papa Shirandula). It is amazing to see how much she physically transforms when playing the Awinja character. As a matter of fact nothing about Awinja – apart from the sense of humor- resembles the real Jacky Vike! 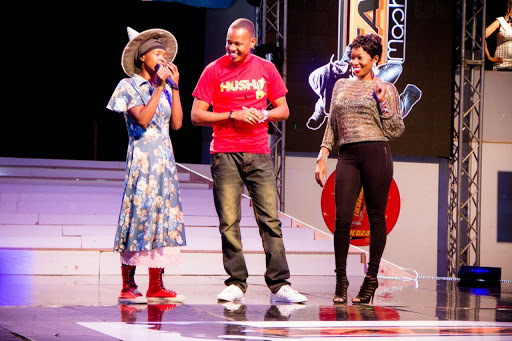 How on earth is she able to pull off the mannerisms and accent of a Luhya maiden straight from the village? Despite Vike being a risk-taking performer , I could understand that often playing characters with heavy ethnic accents in Kenya quickly evolve into stereotypes,who are just but a distorted view of a type of person. They most certainly have their place as the audience understands a particular character. However, when the stereotype becomes the primary focus of character development, the many unique and interesting layers that make a human being are left out and one is often left with caricatures or cartoon like characters. This may not be a bad thing for a simple viewer who just wants to see a part of himself or his community on stage and enjoy the skit. Vike admits that once she was confirmed for the role,she was prepared to make her character as interesting as possible by exploring the different layers and many aspects of Awinja. 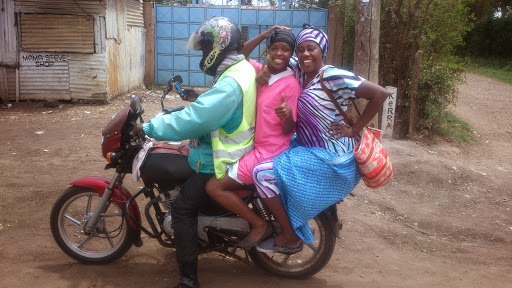 It is mostly the honesty with which she allows her character to experience and react that makes her the number one house help on East African TV. I am very curious to see how new found fame has changed her compared to the lady I knew back then in 2009/10 when I used to direct her at The Theatre Company. As she is one of the most focused and committed actors I have worked with, it was easy for me to believe that she had committed to work hard to give this character its many layers. So, who was Jackie Vike before Awinja? Vike belongs to the last generation of actors who had to learn on the job – and had to learn the hard way. (It is a common trend nowadays for an inexperienced and untrained actor to get a TV job from producers who wish to pay cheaply and enjoy his/her fame bubble by showing sloppy talent.) She first joined Theatrix Ensemble Travelling Theatre, (owned by seasoned thespian and musician, Aliwah) .This was the same group that Felix Jalang’o had pioneered a few years back but at the point of her entry , his star had already shone bright .Interestingly though, she became known through the same TV show as Jalang’o and share a record with the prolific comedian as the only two comic characters who have been able to host two seasons of Sakata Dance Show in a row. Vike continued to ‘hustle’ in theatre moving on to public plays and then to more distinct forms by then provided by The Theatre Company. She attended a number of workshops and finally starred in two successful stage shows that still make me smile at the memories. I remember that in those days she was also much disciplined in attending her dance and vocal classes. “I still dance. It helps in keeping fit. Actors sometimes forget that they are an instrument and therefore have to stay healthy…watch what you eat as well!” I let her stress the point even though I’m aware that she is actually a professional dancer and yoga instructor. 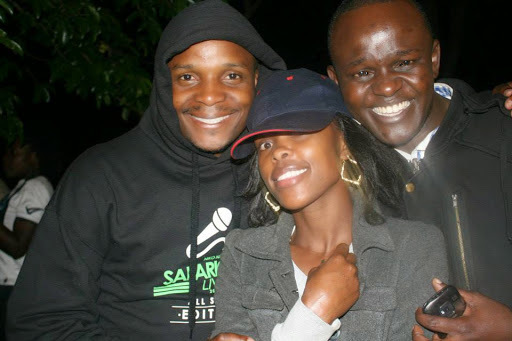 and later Madiwa (still in Eastleigh) to living in a decent neighborhood, driving her own car and being able to give to charity, it is clear that the acting profession has been faithful enough to pay her for her years of loving labor. What can be done therefore? “The answer is in expanding the local production. We must produce more films and TV even at the neighbourhood level.” This is when I discovered that she is planning to open a production company and give opportunities to people from her former hood.